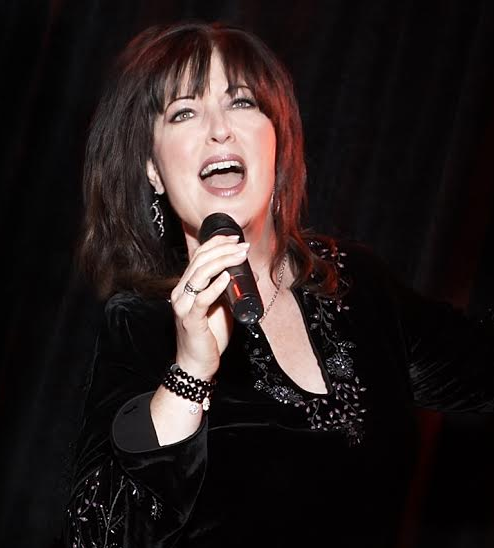 ANN HAMPTON CALLAWAY is one of the leading champions of the great American Songbook, having made her mark as a singer, pianist, composer, lyricist, TV host and producer. Voted recently by Broadwayworld.com as "Performer of the Year" Ann is born entertainer. Her unique singing style that blends jazz and traditional pop, making her a mainstay in concert halls, theaters and jazz clubs as well as in the recording studio, on television, and in film. She is best known for Tony-nominated performance in the hit Broadway musical Swing! and for writing and singing the theme song to the hit TV series The Nanny. Callaway is a Platinum Award winning writer whose songs are featured on seven of Barbra Streisand's recent CD's. The only composer to have collaborated with Cole Porter, she has also written songs with Carole King, Rolf Lovland and Barbara Carroll to name a few. New York cabaret artist Andrea Marcovicci recreates her moving and charming show I Am Anne Frank, based on the famed diary, with music by Michael Cohen and lyrics by Enid Futterman, accompanied by a live chamber orchestra. Originally presented at Alice Tully Hall, Lincoln Center, in 1996, I Am Anne Frank is a lasting tribute to the diary’s namesake as well as the many victims and survivors of the Holocaust. The Axelrod performance will include a children’s ensemble as well as an original prologue written by Ms. Futterman. Based on the classic Victor Hugo novel, the Jersey Shore Premiere of this acclaimed musical features new songs by Academy Award-winning composer Alan Menken and lyricist Steven Schwartz (Wicked, Pippin, Godspell).